Born in Ahmedabad, Gujarat, Manu Parekh formally studied art at the Sir J. J. School of Art, Bombay in 1962. 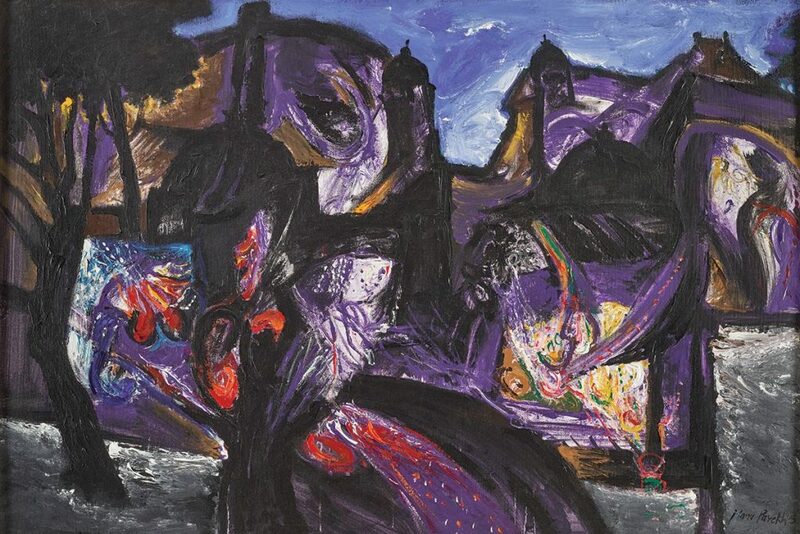 With influences as varied as Arshile Gorky, Roberto Matta, S. B. Palsikar and Rabindranath Tagore, Parekh sought to explore his inner landscape in his work. Perhaps best known for his series on Banaras, Parekh’s landscapes are known for his intuitive use of colour, bold brushstrokes and prominent lines. Influenced by several art trends, Parekh has experimented with colourful abstractions, sexual imagery, and figuration, responding as much to nature as daily life and social issues. The women in his works are represented as nature spirits, plant forms, germinating seeds and allegorical figures, recalling mythological traditions. 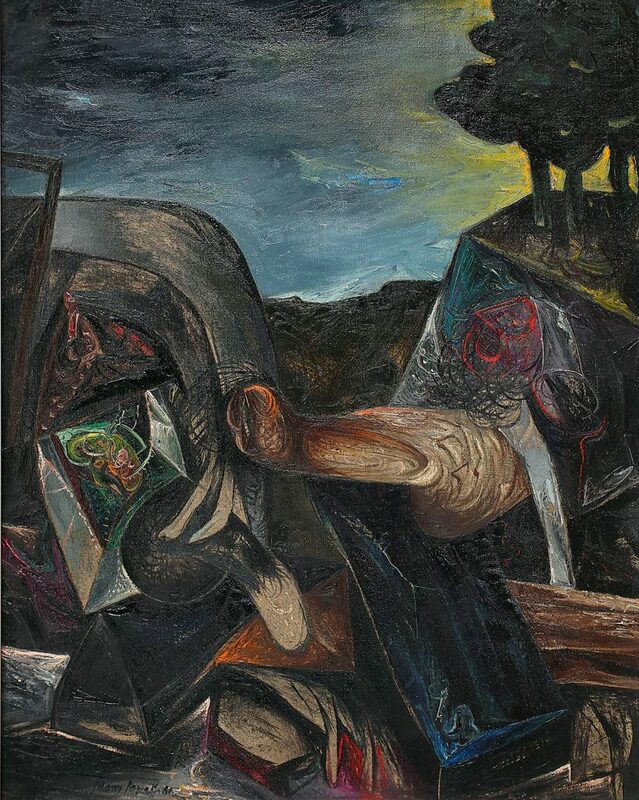 Parekh’s paintings on the infamous Bhagalpur blindings in 1980 reveal his deep response to humanity, inspired perhaps in part by Picasso’s Guernica which responded to the horrors of war. 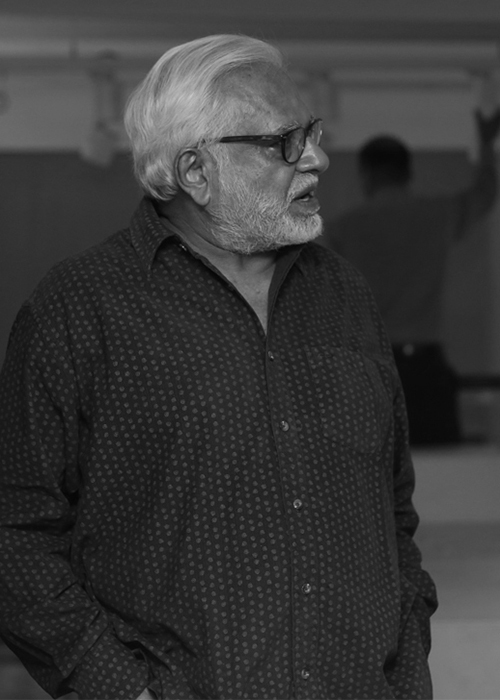 Stage designer, art designer, actor and artist, Manu Parekh brings diverse perspectives to his art. Craft has been his other long-term interest; association with the Handloom Board as a consultant designer gave him the opportunity to extensively interact and work with craftsmen. Parekh has travelled widely across India studying the indigenous technique and style of folk artists, greatly valuing the elements of repetition and rhythm in folk expression. In 1972, Parekh received President of India’s Silver Plaque, All India Fine Arts & Crafts Society Award, New Delhi and the 1982 National Award by Lalit Kala Akademi, New Delhi. In 1992, he was honoured with the Padma Shri by the government of India. Manu Parekh’s works are in several important public and private collections, such as National Gallery of Modern Art, Lalit Kala Akademi, Birla Academy of Art and Culture, Kolkata and others.